Are all gas leaks dangerous? According to Nicholas Kawa, only some leaks are dangerous. Kawa worked as a gas leak investigator. During his job, Kawa was surprised to find out that gas leaks were everywhere and not all leaks were fixed right away. In a time where people are thinking about safety and are buying things like wireless gas detection systems, why aren’t all leaks fixed right away? Well, only gas leaks that have 5 – 15% concentration are actually explosive. Kawa realized that gas leaks were everywhere and only the riskiest leaks were prioritized. Even though most leaks are harmless, gas safety is still important. 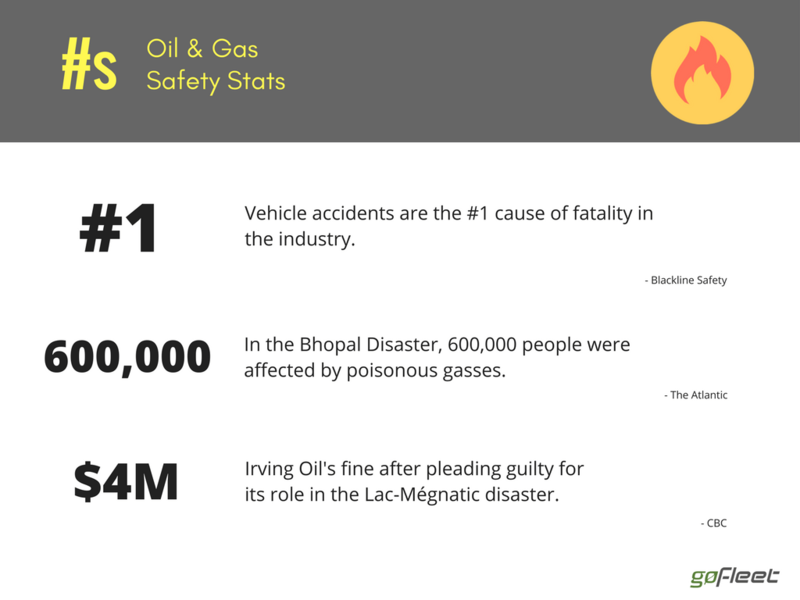 Over the past few years, we’ve heard a lot of gas accident stories. Here are a few examples. I had a personal experience with this disaster. At the time of the accident, I was still in elementary school. On that day, I was playing in recess and then heard the loudest “bang!” of my life. Of course, we were all scared and ran back to our teachers. It turned out that the bang was from a nearby accident. A construction crew was working at a site when it struck a gas line. It caused a gas leak and the resulting explosion destroyed a strip mall. Since 2003, several companies were fined for the accident. It also prompted businesses to take a closer look at their safety policies to prevent a future accident. Lac-Mégantic, a small town in Québec, was forever changed by a rail accident. In 2013, a train derailed and destroyed a section of the town. How did this accident happen? The train, which was carrying fuel, was stopped for a crew change. While the train was braked, a gas leak fire caused a small fire. Firefighters were able to put out the fire, but in the process, the train’s brakes loosened. This caused the train to roll down the tracks, derail, and crash into downtown Lac-Mégantic. The crash was later called one of the worst rail disasters in Canada. It was deadly and nearly destroyed all of Lac-Mégantic’s downtown buildings. The Bhopal disaster was perhaps the worst gas disaster in history. 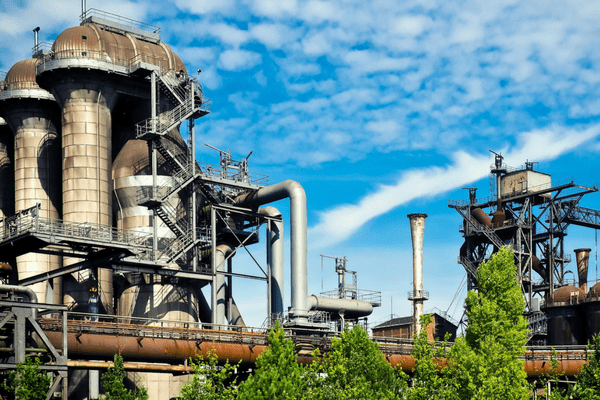 In 1984, a pesticide plant had an accident which released tons of poisonous gases. Over 600,000 people in nearby towns were exposed to these gases. It was horrifying – thousands of people died that night and many more thousands died over the years. To this day, there are still lingering effects. The nearby towns still have uncleaned gases. In fact, the government still labels the area as contaminated. Since accidents can cause wide damage, businesses spend a lot of time preventing accidents. One of the best prevention tools is training employees. For instance, fuel companies set up policies around anything from uniforms to driving rules to vehicle inspection. After creating policies, businesses train and monitor employees. Proactive business, as a result, had much lower accident rates. A useful safety tool is using wireless gas detection. One of the biggest safety risks is odourless gas spills. Gas, in its natural state, is odourless. 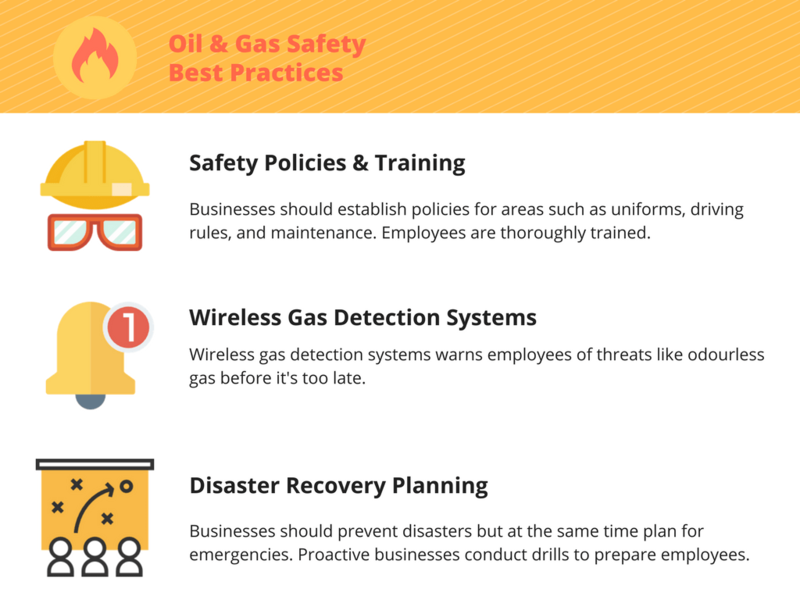 Sometimes, employees might not notice gas spills until it’s too late. Enter wireless gas detection systems. These systems include both wireless gas detection sensors and remote shut off buttons. Sensors are portable kits that alert employees about gas threats. In addition, employees can use remote shut off buttons to cut equipment power. Disaster recovery planning is where a business plans ahead for accidents. Although being accident-free is always the goal, businesses still need to prepare for emergencies. For example, one company regularly conducts drills. These drills train employees on how to respond quickly to oil and gas accidents. As a result, when a spill actually happened, employees were able to quickly work with emergency services to contain the damage.